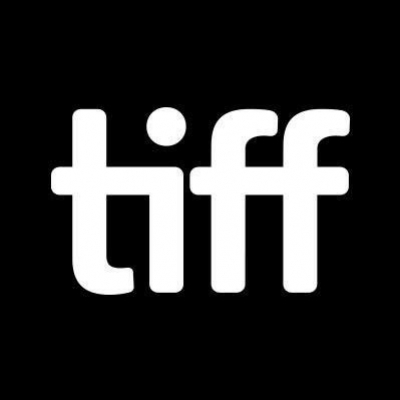 Toronto Sep 15 (IANS) German director Werner Herzogs "Meeting Gorbachev" was one of the best documentaries being screened at the ongoing Toronto International Film Festival (TIFF) here as a record number of crowds thronged its screenings. In the form of long interviews filled with images and footage of the cataclysmic events from his life the documentary visually captures Mikhail Gorbachev s rise in the Soviet Communist Party - from his "godforsaken place" of Stavropol Krai to Moscow as top leaders Leonid Brezhnev Yuri Andropov and Konstantin Chernenko died within three years in the mid-1980s. It shows how Gorbachev who took the helm in 1985 unleashed the Perestroika (central planning) and Glasnost (democracy) movements which led to the collapse of the Soviet Union six years later. In Gorbachev s words: "Perestroika was on top of my agenda." The opposition to his reforms led to a coup against him by hardline leaders when he was holidaying in Crimea in August 1991. By the end of 1991 it was all over as various Soviet Republics decided to go their own way. In the documentary Gorbachev said that he wanted only reforms by devolving more powers to regions and blamed "reckless" leaders such as Boris Yeltsin for the collapse of the Soviet Union. "I am sorry for my own people " Gorbachev tells Herzog. The break-up of the Soviet Union is his tragedy. "I regret it to this day " adding that his pain is still deep. "Yes it is hard. Yes it is my internal problem." But he qualifies his tragedy by saying: "We tried." Herzog credits Gorbachev for his sincerity to end the Cold War as he said he was ready to meet late US President Ronald Reagan anywhere - "even in Hiroshima". After the Chernobyl nuclear disaster in 1986 the two leaders met in Iceland to discuss disarmament and the documentary captures their iconic handshake. However Gorbachev says: "Americans thought they had won the Cold War and it went to their heads... It was our joint victory." The former Soviet leader also comes in praise for his statesmanship in ending the Afghan war allowing German reunification and assuring no intervention in Hungary. Herzog who shot the documentary between October and December 2017 and in April told the Toronto audience that the 87-year-old Gorbachev is "very very ill". "He was delivered straight from hospital right in front of our camera and then straight back to the ambulance." Herzog s co-director Andre Singer said that people in Russia today mistakenly blame Gorbachev for breaking up the Soviet Union. "Ironically he was the one didn t want this. It was Yeltsin and heads of various republics who saw their opportunity for independence... The significance of Gorbachev is that how lessons from that era can humanize politicians of today." The documentary highlights Gorbachev s "unique specia" bond with his late wife Raisa which became the bedrock of his political life. Gorbachev told Herzog that "when she died my life was taken away from me".